Along the east coast, the shores of Delaware, especially Rehoboth, provide the ingredients for the ultimate family beach getaway. With a stretch of stunning, soft white sand and as part of the national seashore of the Atlantic Ocean, Rehoboth Beach is one of Delaware’s highlights. 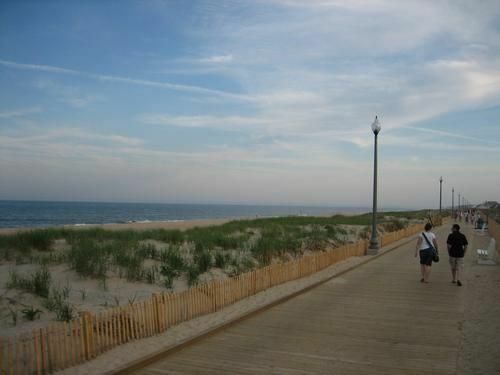 A very popular destination for a seaside family getaway, along with Bethany and Dewey Beaches, Rehoboth is the frequent choice of city dwellers who yearn to breathe the fresh salt air. Founded in 1873 by a Methodist Episcopal Minister as the Rehoboth Beach Camp Meeting Association, it took its name from a biblical word meaning “broad places.” This is an apt description, as the wide expanse of sand and water makes it a perfect playground for beach lovers. What makes kids happier than the beach? Set up a blanket, take out the pails and shovels and your tiny travelers are in heaven. School-age kids will love jumping in the waves, collecting shells and sea glass and burying each other in the sand. Older kids will body surf, try boogie boarding and can arrange for a surfing lesson, and the family can go clamming and crabbing in search of dinner. Rehoboth Beach boasts a mile-long boardwalk that’s perfect for strolling and full of ocean-front amusement centers, mini-golf courses, fun souvenir shops and eateries. Besides the great saltwater taffy, one thing not to miss is a stop at Thrasher’s French Fries for fresh, crispy potatoes, covered in salt and vinegar; no ketchup allowed. They’re a Delaware tradition, and they’re divine. If you’re looking to stroll the boardwalk with a sweet treat, than make a stop at Kohr Brothers. Located right next to the iconic Dolles Saltwater Taffy building, Kohr Brothers offers a wide variety of yummy frozen custard that includes orange cream, strawberry and even butter pecan. The boardwalk is also the place to arrange boat rentals or to book a day cruise; other activities to look into are fishing, dolphin watching and bike riding. Nearby Lake Gerar offers a nice playground for kids ages 2-10, and a fishing bridge for children. Take in the Saturday evening concerts and free movies at the Rehoboth Beach Bandstand. After a day at the beach, when everyone has showered off the sand from their bathing suits, head to Funland for an old-fashioned good time. Eighteen rides, midway games and an arcade with pinball and video machines will keep the kids happy for hours after sunset. Also check out a performance of plays such as “The Wizard of Oz” and “Aladdin” at the Rehoboth Children’s Summer Theatre. Day or night, rain or shine, beyond the T-shirt and souvenir stores there are bookstores, and eclectic shops and galleries specializing in hand-made soaps, jewelry, specialty food items, and nautical-themed memorabilia. For serious shoppers, Tanger Outlets operates three separate malls in and around Rehoboth. Ready to plan your family beach vacation here? Nationally recognized for their great food and fine brews, Dogfish Head Brewery and Eats has called downtown Rehoboth Beach home for over 15 years. In addition to an assortment of award-winning “off-centered beers,” the menu at Dogfish Head features delicious wood-grilled pizzas, seafood and steaks. The affordable kids menu, live local music and homebrewed birch beer all make Dogfish Head a fun meal for the entire family. Dogfish Head Brewery and Eats is located on 320 Rehoboth Av. This year, Nicola Pizza, located on 8 N. 1st street, is celebrating 20 years of tasty pies, signature Stromboli and an award-winning secret sauce. Nicola is both casual and inexpensive making it a great spot for hungry families who have been at the beach all day. If you plan on visiting this landmark pizza joint, consider a late lunch or early dinner as you will encounter a long line for seating during prime dining hours. If you party is large, we suggest you take advantage of Nicola’s take-out or delivery services. For more information or to place an order, call 302/227-6211. Much of where you stay in Rehoboth depends on the size of your party and the length of your visit. If you are visiting with multiple families or generations, or you are staying for more than four days, you should give strong consideration to a rental property. Unlike a hotel room, your rental property will provide adequate living space for everyone, a kitchen for those nights you decide to eat in, and some unique personality that will certainly add to your summer vacation in Rehoboth. Hotels in Rehoboth typically appeal to those traveling in small numbers for shorter periods of time. Although space is limited and you will not have access to a kitchen, your room will be cleaned daily by the hotel staff. A vacuumed carpet and fresh change of sheets can make a huge difference when you’ve been tracking sand in and out of your room all day. Most hotels also provide a swimming pool which makes for a refreshing family pit stop between the beach and your room. Hotel Rehoboth is conveniently secluded from the noise of the boardwalk but still within walking distance of the beach, shops and restaurants. Rooms average around a moderate $ and include complimentary beach chairs, umbrellas and shuttle to and from the beach. To make reservations at Hotel Rehoboth, call 877/247-7346 or visit Hotel Rehoboth. 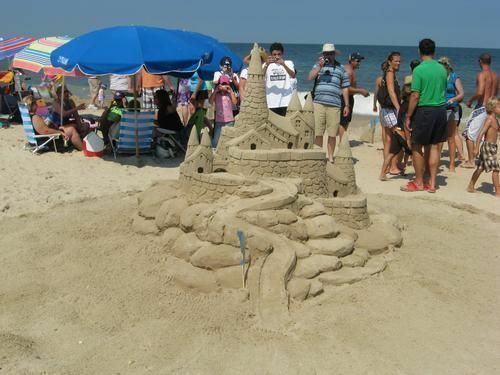 For more information and other lodging suggestions, visit the local Rehoboth Beach-Dewey Beach Chamber of Commerce.